Sweet summer style is calling your name, so slip into the Clarks Leisa Spring and enjoy the season! 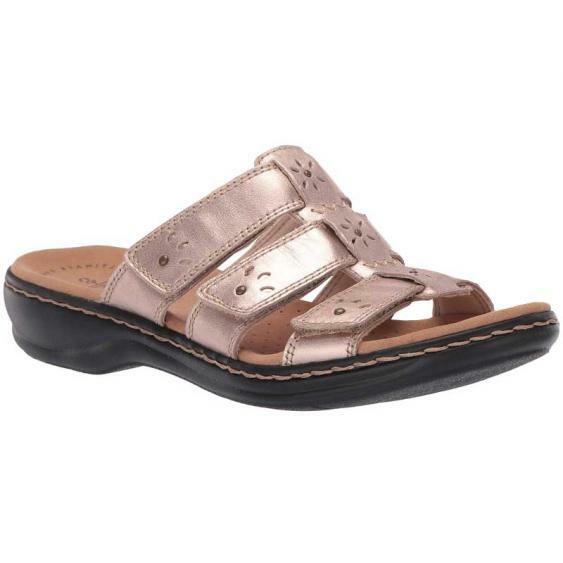 Crafted with a leather upper and detailed with studs and cut-outs, this stylish sandal will be your go-to. Three fully adjustable straps with hook and loop closures offer the ultimate in adjustability. Against-the-skin comfort is ever present with a breathable leather lining, and the cushioned footbed features Cushion Plus technology. A durable TR outsole will keep you upright on a variety of surfaces.